We'll get your car back on the road in no time. Our services include auto body repairs, as well as spray painting services by highly qualified tradespeople with many years of experience in the accident repair industry. From broken a headlight, scratched bumper or bent chassis – we use digital measuring and straightening equipment by Autorobot to safely repair your collision damaged vehicle. Has your car been stolen and was later recovered in a damaged condition? We can fix all of your vehicle and get it back into its original state including replacement factory keys. Want a new bumper or bull bar fitted? No worries. What about new spot lights for your 4WD? We can help with that too. Do you want your car to shine inside out? Just leave it to us! Need help to keep your vehicle logbook up to date? We can assist you with this task. 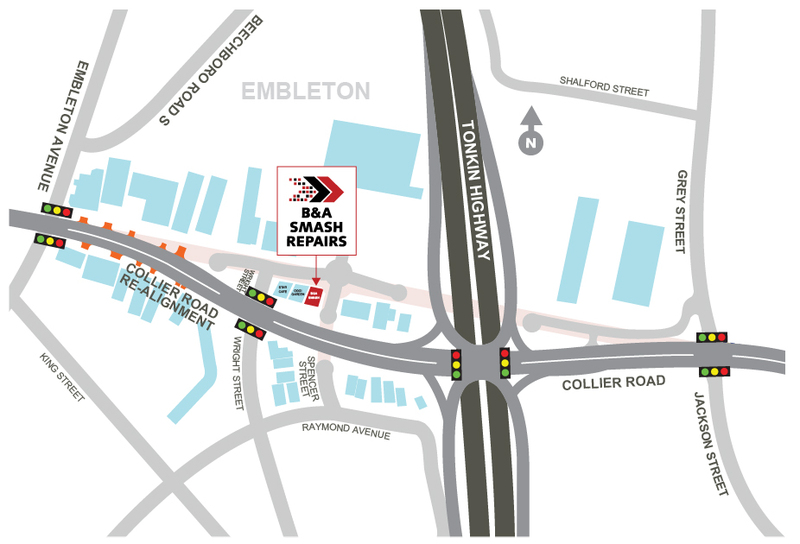 At B&A Smash Repairs, we know that having a car accident can be quite distressing — this is why we make the process of getting your car back on the road as easy for you as possible. 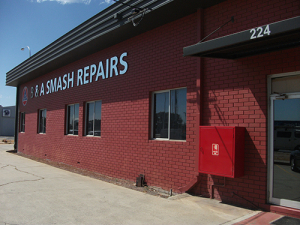 We love to provide an outstanding customer experience and are proud to be rated as one of the top accident repair businesses in Bayswater, Western Australia. Whether you are seeking minor auto body repairs or an experienced spray painter for extensive paint work, our priority is getting your car back to its pristine, pre-accident condition. You’ll leave our Bayswater premises with a perfectly restored vehicle — see below what some of our former & current customers have to say about us! We take a thorough look at your car‘s damage and prepare a cost estimate. Our shop deals with both private repairs and work covered by insurance. We can help you make the decision whether it is worth claiming and can also advise you on your entitlements as an insurance customer. You book a repair date for your vehicle with B&A Smash and lodge a claim with your insurance company. After we receive your claim number, we can liaise with your insurer on your behalf to make the whole process effortless for you. Once your insurer has authorised the repair we can get started with your accident repairs. We now order all necessary parts and repair your vehicle. Drop your car off on an organised repair date and we’ll give you a call when your car is ready for pickup. Coming from the Galleria side of Collier Road, turn left at the lights into Wright Street. Then turn right onto Collier Road and we are right where we have always been. Coming from the Tonkin Highway side you need the right lane to turn right into Wright Street, then turn right into Collier Road and we are right where we have always been.